I think I had my proudest food moment when I cooked this burger. It all started with an idea....I wanted a burger but didn't want the carby buns! 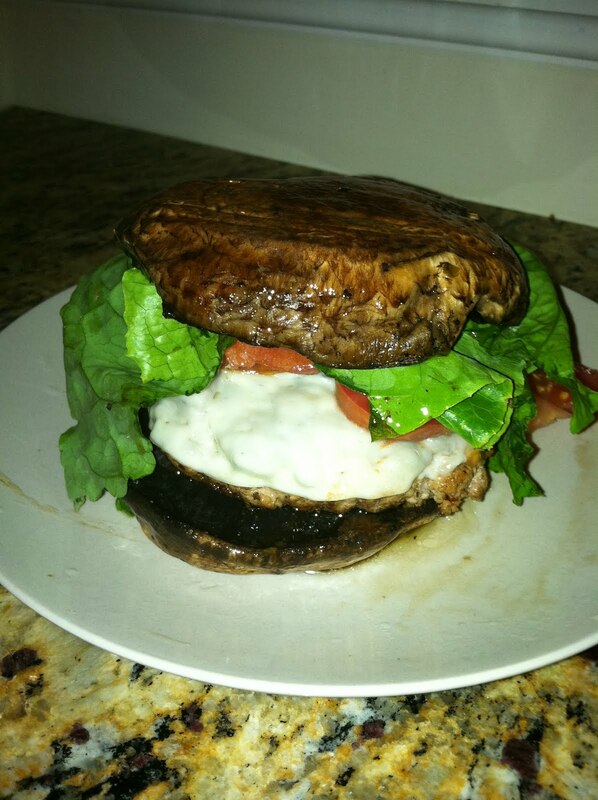 a friend suggested I try Portobello Mushrooms, and ding! I was like yessss!!! I'm a mushroom fanatic anyway, I just really love mushrooms. 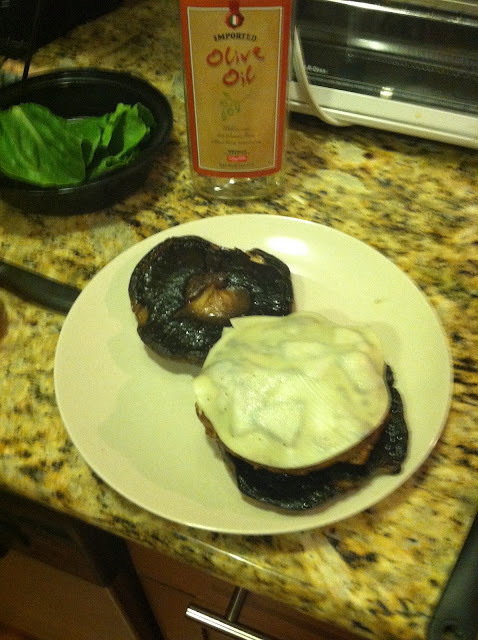 I went to the market and purchased about 6 Portobello Mushrooms. I was so excited to go home and make this burger. I went to the grocery store and bought some ground turkey meat and provolone cheese. I had already bought fresh tomatoes and lettuce from the market. First I washed the mushrooms and placed them in a small frying pan (you're supposed to grill them, but I don't have a grill) and I just seared them on both sides for a few minutes with balsamic vinaigrette. For the ground turkey, I basically seasoned the meat like I would a normal burger, and then fried the burger with red onions. 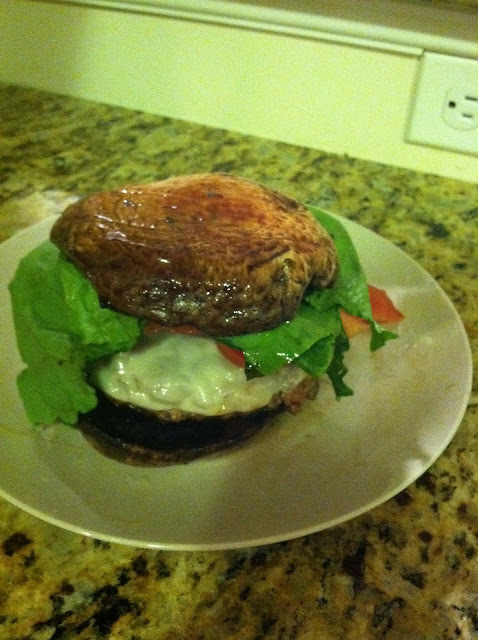 Once done, I placed it on one Portobello Bun and placed a slice of provolone cheese on top with a few slices of tomatoes and lettuce and then covered with the other Portobello bun. All I have to say is AMAZING!! WOW!! UNBELIEVABLY DELICIOUS! 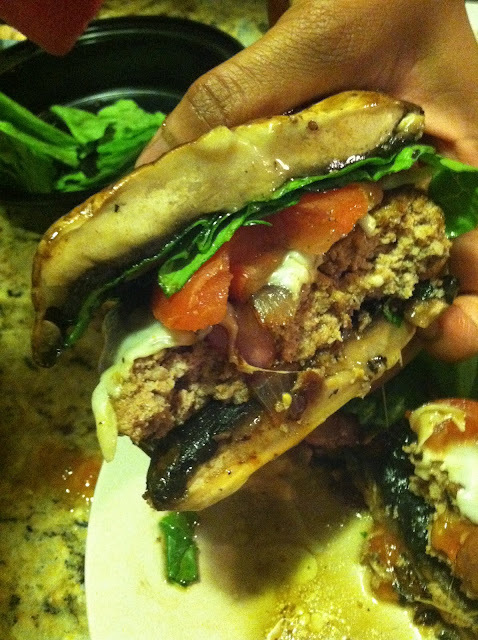 I must pat myself on the back, this burger was so tasty and out of this world! Sofrito's NYC is a puerto rican restaurant in NYC. 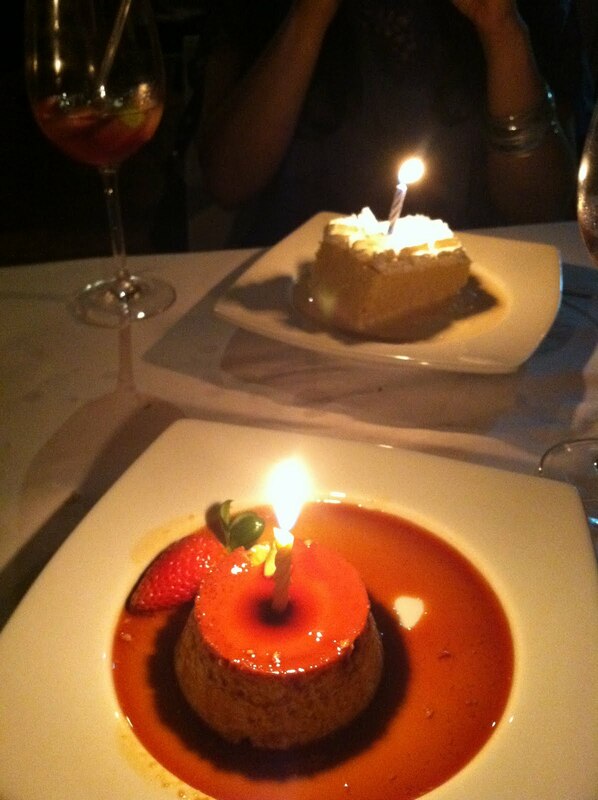 My friends and I decided to go here to celebrate our Birthday's... Taurus style, the food was soooooo delicious! 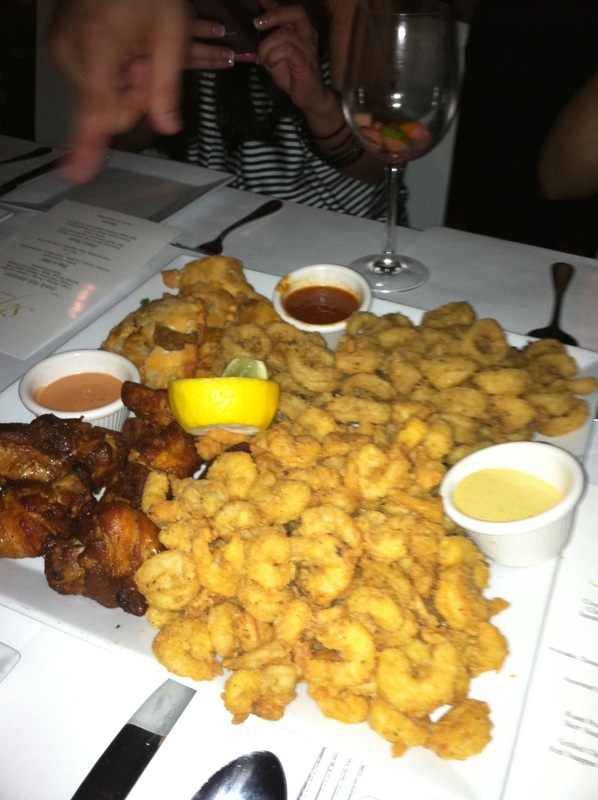 First off, the Sangria was amazing :) The Appetizers were out of this world and the main courses were WOW! For appetizers we had a platter with fried calamari, empanadas, fried shrimp and pork ribs! 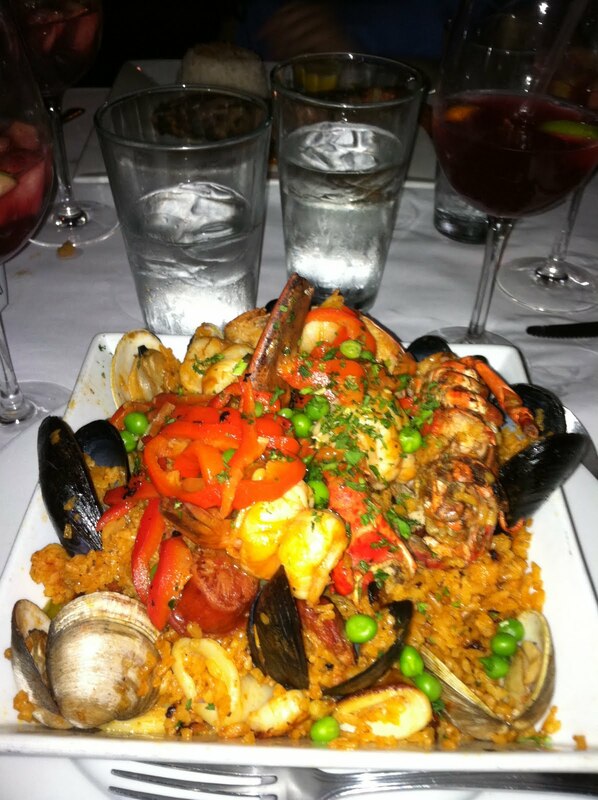 For dinner I chose the Shrimp Paella, which was entirely too much for me to eat. and for dessert we had Flan and Tres Leches Cake. Great Atmosphere, great music from a live band and delicious food! 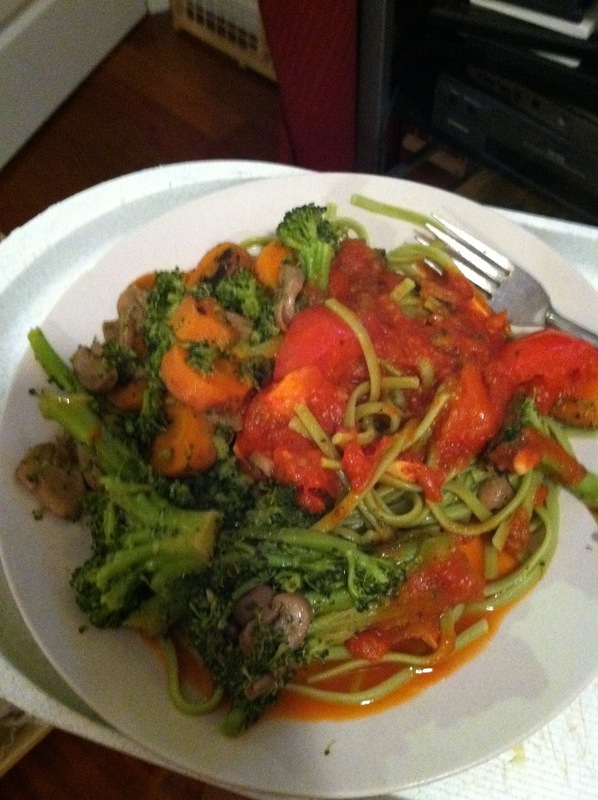 Since I'm trying to eat healthy, I decided to make spaghetti with veggies instead of sausage or meatballs. First, I steamed fresh broccoli, carrots and mushrooms. I then cooked the sauce and then added the veggies to it! 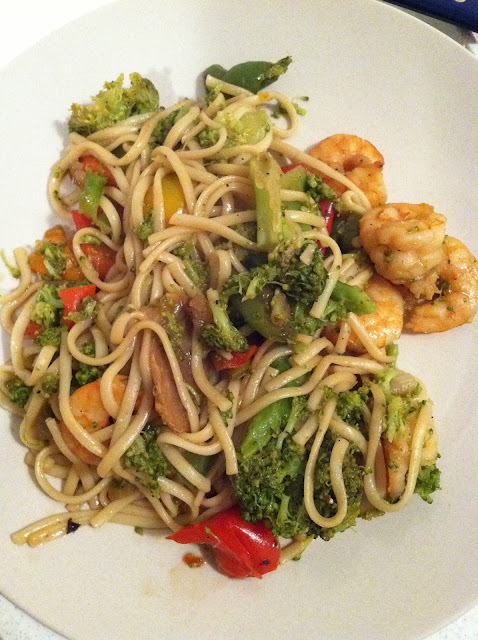 ...scooped a few spoonfuls onto some spinach fettucini noodles and voila! I was actually surprised how delicious it turned out to be, I didn't follow any recipe and I've never had vegetarian spaghetti in my life. I was kind of proud of myself for creating a new delicious meal :) GO ME!